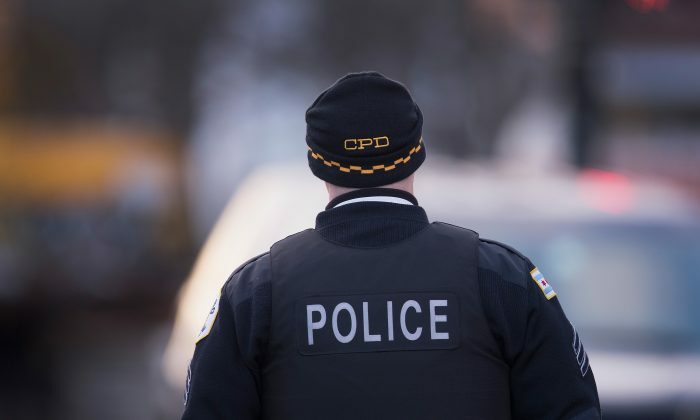 As detailed in published works for the Epoch Times over the last two years, these are defining times for American policing that demands ethical guardians. There has always been corruption in government, but this is no excuse for unethical behavior to continue. The dignity that represents America demands renewal, and our police, so vital to the integrity of government and security in our communities must rise to the occasion. Every law enforcement official who takes the sacred oath to protect and serve must be fully dedicated to society as an ethical guardian. There can be no compromise by law enforcement officials to ethical values. Law enforcement must be totally and wholeheartedly committed to their sacrosanct duty, never faltering with the responsibilities bestowed upon them. In my Oct. 10, 2014 article for the Epoch Times titled “Transforming the NYPD: Terminating Toxic Police Officers,” I encouraged the NYPD—and every police department—to be inspired by the ideals of the United States Military Academy (USMA), commonly referred to as West Point. The article stressed that the mission of West Point is to educate, train, and inspire leaders of character, ethics, and moral courage. In the article, I also expressed by appreciation for the ethical leadership of NYPD Commissioner William J. Bratton, detailed during his words to over 800 top department officials in 2014. Bratton addressed the small percentage of NYPD officers who are “poisoning the well” and needed to be weeded out. On Monday, June 20, 2016, the United States Attorney’s Office for the Southern District of New York posted a document on its website reminding society that no one is above the law. It detailed the arrests of NYPD officials and charges against them. One of my responsibilities throughout my career has been empowering law enforcement with the character needed to serve society as ethical guardians. This work will continue with a New Jersey conference scheduled for a partnership of the Bergen County Police Chiefs Association, Bergen County Sheriff’s Office, Bergen County Prosecutor, and Bergen County Law and Public Safety Institute (BCLPSI). The conference, titled “21st Century Policing: America’s Ethical Guardians,” will take place on Oct. 4, 2016 at the BCLPSI. It will be my goal with this event to compliment the noble efforts of countless police officials throughout the nation serving as ethical guardians. I am confident their commitment, upheld by the U.S. attorney, NYPD commissioner, and FBI assistant director this week, will inspire police renewal, so critical to reawakening the nation.